Yahoo CEO Carol Bartz has expressed her doubts that Bing will finally crack the search market for Microsoft. The arrival of Bing, backed by a massive marketing budget, represents Microsoft's latest attempt to gain a bigger market share in internet search. But Bartz, speaking at the Bank of America US Tech conference, said that a short term uplift would not lead to any kind of key market shift. "They're not going to get scale through Bing," insisted Bartz . "They're going to get some temporary interest." 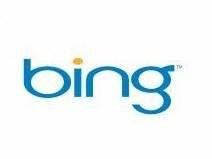 Bartz also insisted that the arrival of Bing as a replacement to Microsoft's Live Search, did not add pressure for a merger, despite the fact that she sees a partnership as mutually beneficial. "Yahoo doesn't have to do anything with Microsoft about anything," Bartz stated "We are a damned big, important site,"
Yahoo, once the world's most popular search engine, has watched its share dwindle – although it remains the second biggest search engine in the US. However, with talk still rife that the only thing that will arrest the slide is a partnership with Microsoft, Bartz did point out that this could save her company from between $500 to $700 million (£307m - £431m).